Packages are a great way to get some experience without a huge financial commitment. Beginner lessons are (1) hour lessons and taught by one of our Junior or Apprentice Instructors. 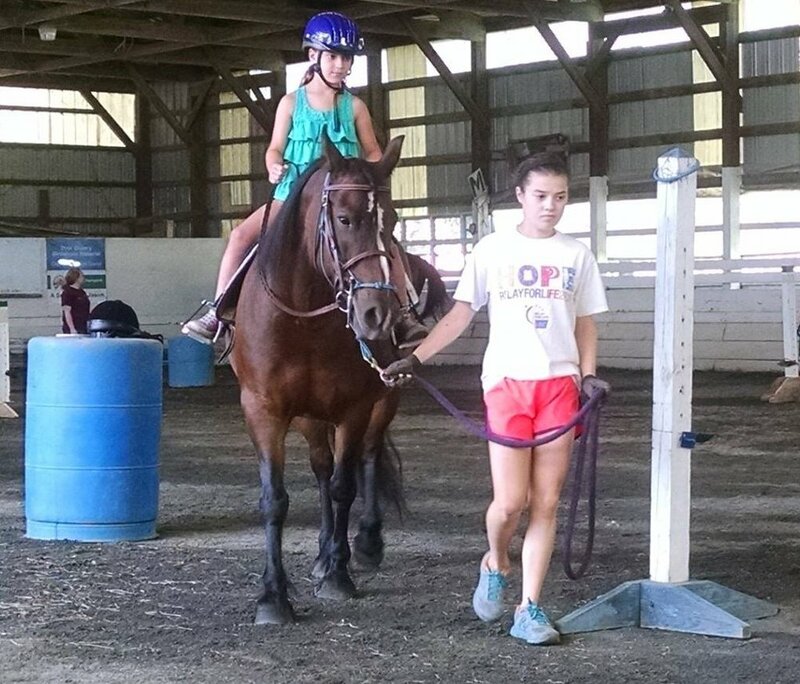 Basic horsemanship is taught, including unmounted skills such as grooming, tacking, leading and barn maintenance. Mounted skills are Walk, Trot, and Posting. Packages are designed to accommodate riders intended for our Able Body Program. (3) lessons are included in this package. New riders will learn ground work such as grooming and tacking as well as leading. One out of the three lessons will be mounted. Mounted activity will include Walk/Trot. (4) lessons are included in this package. New riders will learn ground work such as grooming, tacking and leading. Two out of the four lessons will be mounted. Mounted activity will include Walk/Trot. (6) lessons are included in this package. New riders will learn ground work such as grooming, tacking, leading and round penning. Three lessons will be mounted. Three out of the six lessons will be mounted. Mounted activity will include Walk/Trot/Post.